This is week #2 of vacation, and while I knocked out a doozy of a "ToDo" list for last week, this week has started off pretty lazy. Looking forward to my 2 solid weeks of vacay, I thought "this is awesome, I'll get to try the mid-day classes at CG Arena, I'll go every day!" I went to try a class called Extreme Dance (extreme!). It was pretty fun, I danced in high school and college so it was a nice change from my regular boxing and spin (which I have not been attending.....shame.) I was not nearly drunk-enough for the hip-hop part of class, but it was really only one song, and by that time I had gotten over the paranoia that everyone was watching me, and realized that everyone was watching themselves. Anyway, so since I've really just been lounging around for the past couple days, I've realized that my eating habits have totally changed. I'll still have breakfast and coffee, but then it's a crap shoot as to when I eat again. I'll feel a bit hungry and I'll nibble on something but then I get distracted by Pinterest, or an episode of How I Met Your Mother. 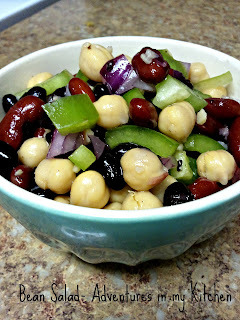 This bean salad is once of my somethings to nibble on. It's quick, easy, healthy, and cheeeaapp. Make it to eat for snack, make it to eat as a side dish to an end of summer gathering, make it for breakfast, whatevs! Just make it. Toss all ingredients in a large bowl, refrigerate for a couple hours to let all the flavors get nice and friendly. Serve chilled. Note: This is kind of the base recipe, my mom and sister have made it with all kinds of additions. Quinoa, cilantro, asparagus and corn are big hits. 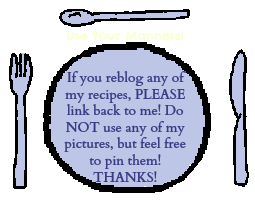 This is my favorite recipe that our familia makes! I'm so glad you blogged this!! Nom Nom Nom It will be served at the baby shower! 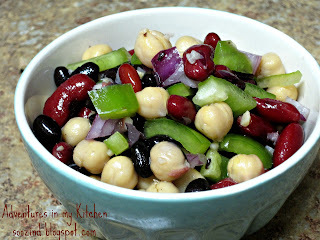 We love bean salad, but I like it pickled and the hubby doesn't. Your bean salad I think will satisfy us both with a bit of vinegar. Thanks for the bean salad recipe to try. Thanks for the recipe! Hubby is a diabetic and he could eat this!